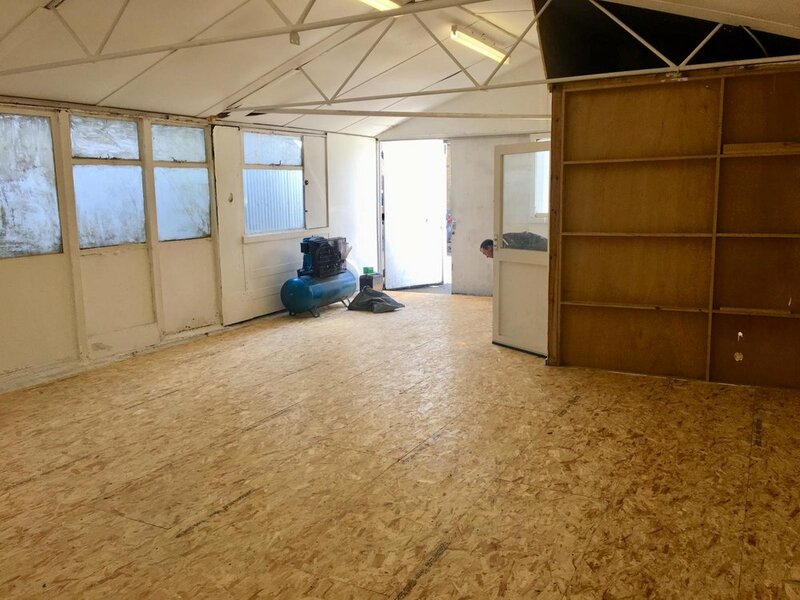 Vanguard Court is home to around 50 artists and creative small businesses with a friendly, buzzing environment, I am happy to announce that three of my friends and I are in the process of starting our new studio here. Our group, including myself, consists of; Celia Dowson (Ceramicist and cast glass artist), Lola Lazaro Hinks (Cast glass artist), and Kaja Upelj (Cast glass artist). We are very excited to launch into this new venture together. 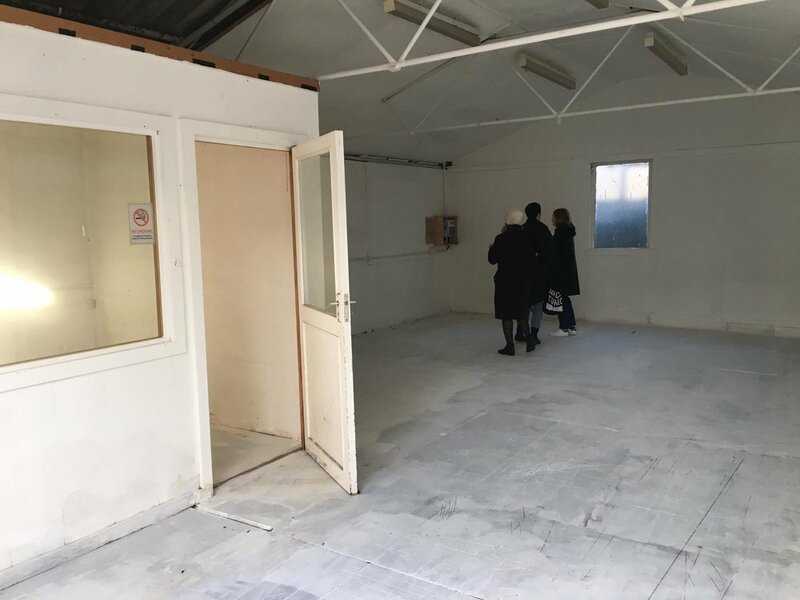 Our studio will have cold glass and kiln formed glass facilities and hopefully in the not too distant future space to run classes. Currently a work in process, watch this space! 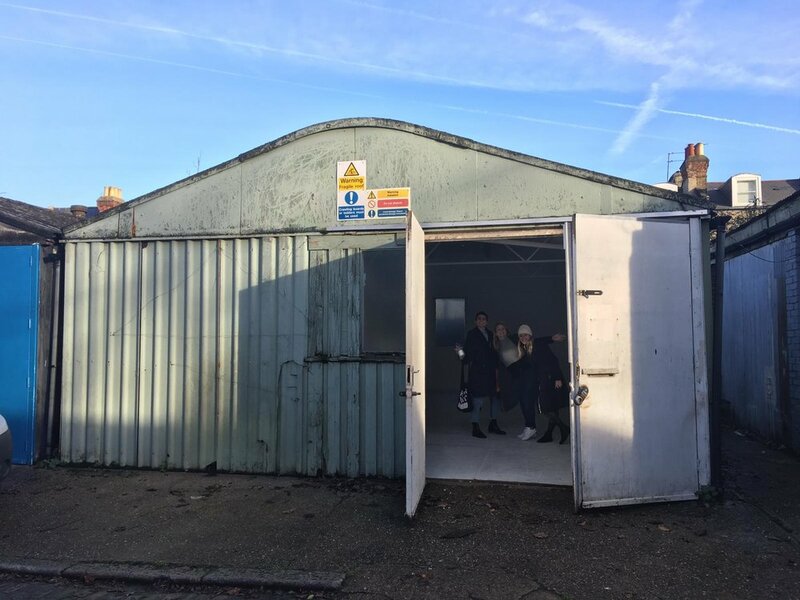 First viewing - we fell in love with the space! In need of some TLC! Click HERE to find out more about the location and events at Vanguard Court. Look out for more updates on our progress! I have always been intrigued by the playfulness and elegance of children's toys and how the forms invite engagement. Using hot glass I am exploring form, texture, scale, and space to excite the viewer. In one group of objects I wish to draw the viewer in to explore the internal space, the play of light and shadow on the form and the optical qualities of solid glass. In another group I am playing with stacked components, using them like children's building blocks to create towers where each form, colour and texture has a relationship with the others, whether they are complimentary or shocking, comfortable or jarring. In the beautiful countryside, south east of Prague, there is a gorgeous glass school called Cesty Skla/Ways of Glass. I spent a week there as part of Louis Thompson and James Devereux's class 'Skin Deep,' learning new techniques and trying out ideas in preparation for the second year of my MA at the Royal College Of Art. Thanks to a Scholarship awarded to me from the Royal College of Art I was lucky enough to experience an amazing two weeks at Corning Museum of Glass and take part in the course ColourXFrom. This class was instructed by Anna Riley who was supported by teaching assistant Courtney McCloskey, both extremely talented glass blowers based in Brooklyn. Focusing on colour application in glass and the marriage between colour and form meant that I was able to experiment with techniques that I've not had the time to try back home. The photograph above is a screen shot from the live stream demonstration of Anna Riley making an incalmo rondel which you can watch on the Museum's website by following this link. Breaking things is bound happen when learning new techniques, this is not always a bad thing! By dropping this piece on the floor I could see the potential in the use of cold working to show off the internal curve that I had created. A very exhausted but happy class! It's been a while since I've posted as the RCA has taken over my life but I've been loving it! These are some photos of final pieces and working shots from the second half of the year... enjoy! To create functional pieces inspired by a meal of our choosing, to eat from or display or serve food from. Spaghetti was my chosen dish and I wanted to express its look and playful nature within my forms. Below are a series of bowls I also made for the food project, again, inspired by spaghetti and using a technique called 'incalmio', this technique was traditionally used by Italian glass makers and involves constructing an object, usually a vessel, by fusing two or more blown glass elements. The process was first practiced in the Islamic world in the Middle Ages and demands great precision because the edges of the adjoining elements must have precisely the same diameter in order to create the look of one continuous piece of glass. I've nearly completed my first year now and have an exciting summer to look forward to. 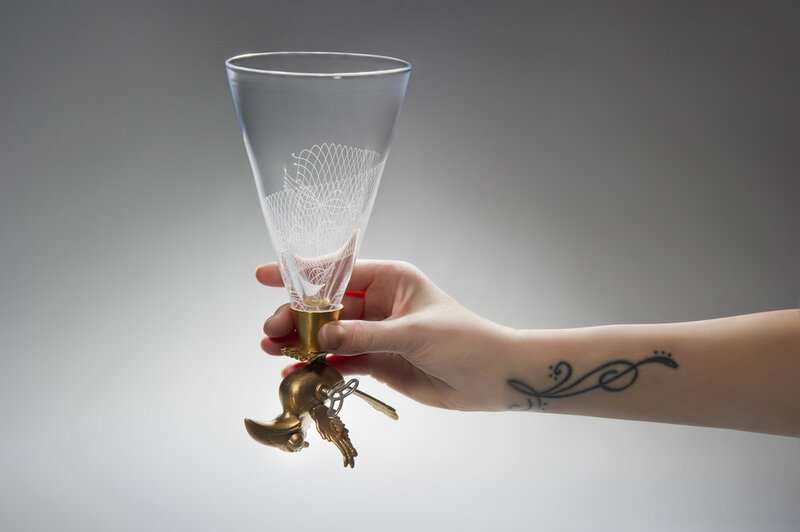 I will be taking part in a two week programme at Corning Museum of Glass in The US with Anna Riley, an amazing glassblower based Brooklyn. 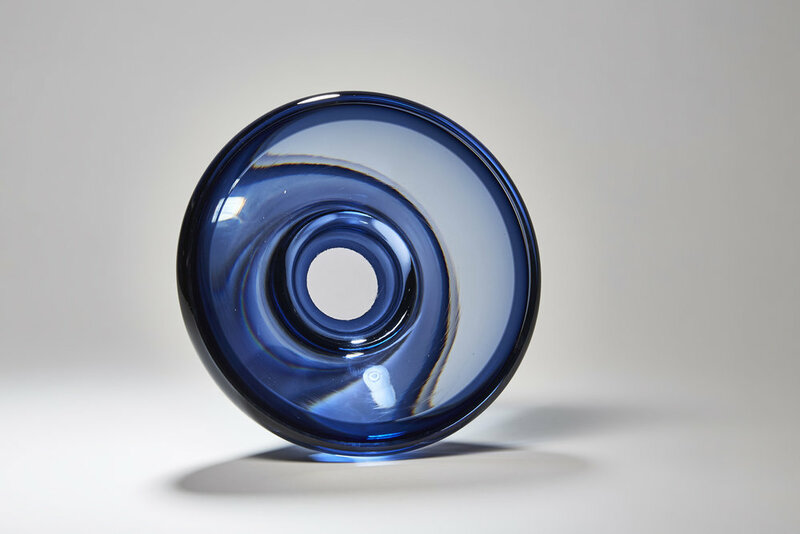 The class will focus on the dialogue between form and colour in blown glass, developing skills and visual language, considering the potential for colour to enhance form, complement function, or convey meaning. I'll be posting photos and videos during my time there to keep you updated. Now in its 13th edition, Collect returns to the stunning setting of the Saatchi Gallery in London’s King's Road from 2 – 6 February 2017. I will be showing my newest work during COLLECT at the Saatchi Gallery and would love you to come and see! Pictured below is Symbiosis VII in Sunset Gold - a colourway which I haven't used before! We were asked to select just one object made before 1950 from the Victoria and Albert Museum’s Glass collection. We chose objects which intrigued us, or held a certain resonance for us, and crucially would move us into unfamiliar territory. Research was undertaken to explore the questions below. What it is, When it was made, Who it was made for, Who made it? What role does it fulfil? We were then required to transfer our findings into a contemporary context, creating an object or series of objects which in some way would fulfil the same role as our original chosen object. Free blown glass with cane detail. Bronze cast, brass and found objects, 23ct Gold plate. My goblets are inspired by a 16th Century Bavarian drinking game glass. Drinking games were popular in many European countries at this time and special objects were made to promote alcohol consumption in a social and playful manner. When consuming alcohol the tendency is to revert back to a childlike state and it is this that has inspired my intriguing and playful drinking goblets. Below are the original objects from the Victoria & Albert Museum. The International Art-Glass Exhibition will take place from 6th August - 3rd October 2016 in the town of Zwiesel in Germany. The Zwieseler Glastage is possibly one of the worlds most prestigious displays of artistic talent in glass and I am thrilled to be involved. In 2012 they celebrated 25 years of the Glastage; over the years both technical and artistic advancement has exceeded all expectations, and we must be thankful to the “Arbeitskreis Glas” for their vision to put their ideas in motion. This highly motivated group, working together with the Zwiesel Town council produce year on year an event that set new standards in the world of glass. The complete spectrum of traditional and modern glass art is represented, from Industrial to unique handmade pieces from the finest local and International glass artists. Below are a couple of photos of my Rest Vases in the exhibition space. Thank you to Nancy Sutcliffe, a very talented glassmaker for these photos of the show. Thank you to http://glastage.zwiesel.de for the image - click link to see more information. I will soon be taking part in this years Nunhead Art Trail from 24th - 25th September. Over the last few weeks I have been spending a lot of time enjoying my other passion...gardening! Since the weather has been getting better I've been loving reproducing succulents and watching them grow and flower, I thought it would be a great idea to make these gorgeous little plants some glassy homes. These are all still works in progress so check back for photos of the finished pieces. I'll be selling these at the Art Trail along with some new sculptural works so I really hope to see you there! Studio floor chalk drawing of a wide bowl on the blowing iron. Some rough sketches and colour ideas for the days making plan. These are some photos from my sketch book and a drawing on the hot shop floor to refer to whilst making the bowls, along with some freshly made pieces coming out of the kiln. Wide bowls, ready for planting! My collection of succulents, not quite ready for planting yet! Single plater terrariums fresh out of the kiln...bigger than they look! I had a long and productive day today with an amazing photographer, Ester Segarra, shooting my new work. 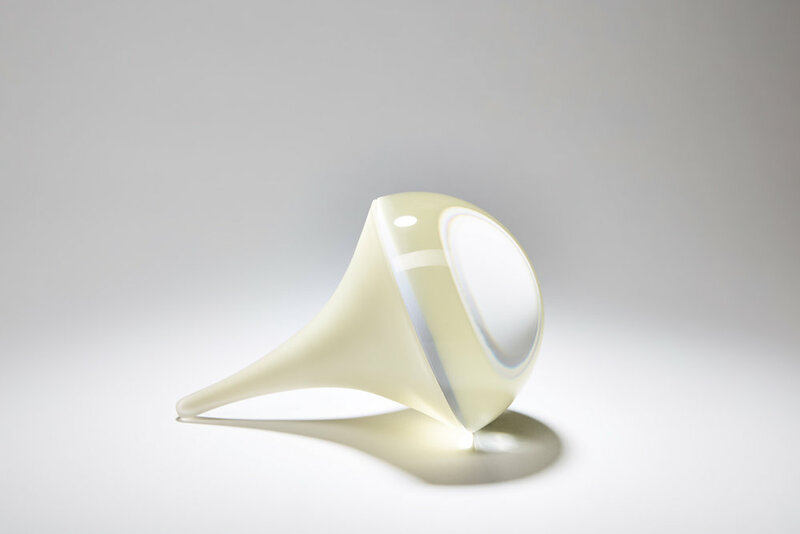 These pieces have never been seen before and some will be exhibited in the gallery at London Glassblowing during their 40th anniversary show, Recollections: 20.05.16 - 11.06.16. For this exhibition artists have been asked to revisit past creations; to go beyond previous explorations and develop new and inspiring works that look towards the future. I thought this would be a great opportunity to reconnect with my university tutor, Richard Price, and start a working relationship to produce a new body of work that can be developed in the future. See my previous post for a short video of us both working in my old studio in the university, this brought back some great memories! New collaboration with Richard Price. Laura McKinley and Richard Price in the studio from London Glassblowing on Vimeo. Before Rushka and I held our exhibition, A Slant of Light, at Nancy Victor Gallery in London, she contacted BBC Radio 4 (with reluctance from me, as the idea of being on the radio filled me with nerves) in hope that they would, in some way, like to feature us. Nothing came of this so we thought no more of it. In mid November I had a very excited Rushka on the phone to let me know that BBC Radio 4's, Woman's Hour had contacted her and wanted to feature us as 'Artists In Their Studios' during their show, listeners week. Rushka is now studying for her MA in Glasgow so they sent a Scottish reporter to her studio and they sent the lovely Louise Adamson to interview me in my studio on Bermondsey Street. Louise was great and I felt instantly at ease, any previous nerves had melted away. The interview went really well and I am thrilled that I had this rare opportunity to feature on a widely listened to radio show talking about something that I am so passionate about. Follow the link below to listen to the interview, aired on the 2nd December 2015. The interview begins at 18:30. I have finally found the time to add these images of mine and Rushka's show. We really appreciate all of the support we received, it was an amazing experience! Enjoy the photos! I am very excited to be exhibiting my new work along side my very good friend and amazing print maker, Rushka Gray, at Nancy Victor Gallery from 24th-29th August. Flyers printed, posters printed, ready for set up!